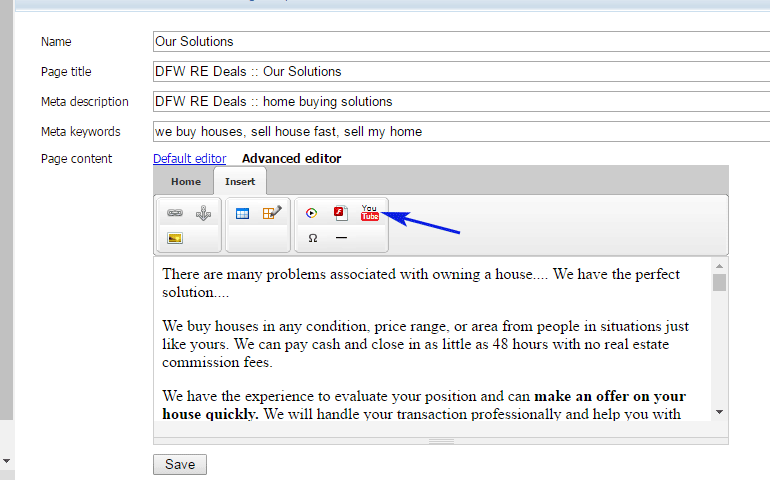 When we deliver your website, your content is already personalized to you, your company name, your city, state, etc. However, it is a good idea to go through each page and make sure the content suits your business model. 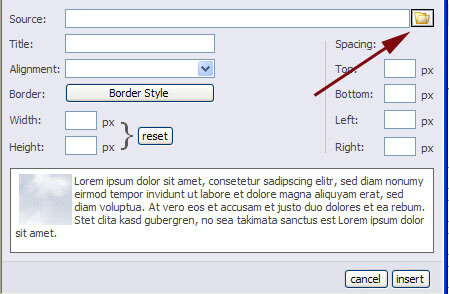 You can only change certain text on the web site. 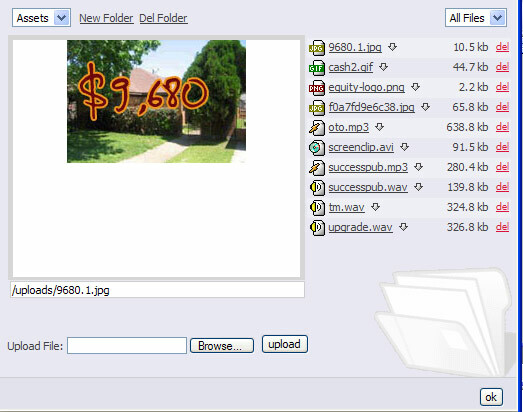 When you change this content, the changes will be retained even if you choose a different design. When you are done editing, click on the full screen icon again to go back to the small screen, then save. 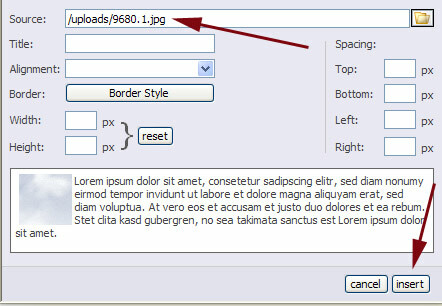 When you are done setting the image attributes, click the “insert” button to insert it into your page, then save the page. If you have a video you would like to put on your website, we recommend uploading the video to Youtube, then embedding it on your website.